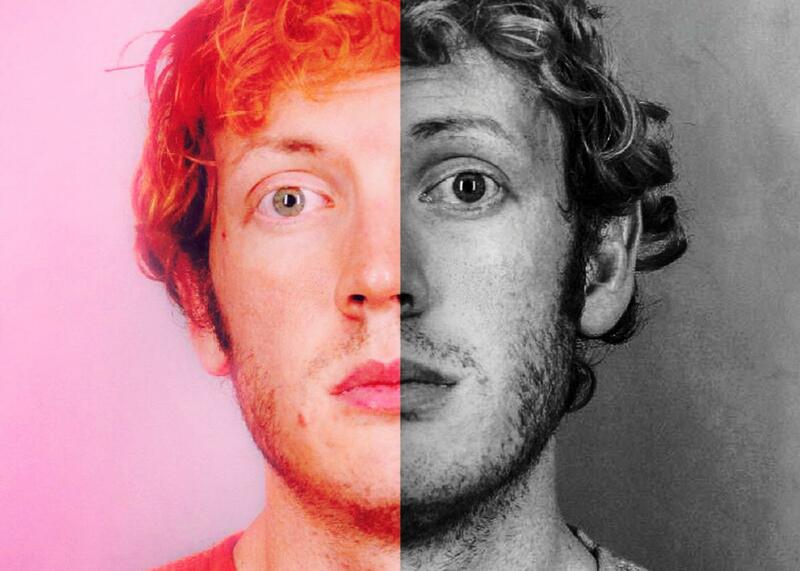 James Holmes fandom: Years after the Aurora movie theater shooting, Holmies are still fighting for their guy. What happens when James Holmes fangirls grow up. Convicted Aurora, Colorado shooter James Holmes. Photo illustration by Lisa Larson-Walker. Photo courtesy Arapahoe County Sheriff’s Office/Handout via Reuters. Last Friday, members of a Colorado jury found Holmes guilty of murdering 12 people and gravely injuring dozens more. Soon, they’ll weigh whether Holmes should be locked up for life or sentenced to death. During the trial, prosecutors argued that Holmes had committed the murders for the fame—and pointed to Holmies as evidence that he had gotten just what he wanted. On Monday, one longtime Holmes fan hit Tumblr and finally renounced the “Holmie” label, but not because she’s dropped her support of James Holmes: She’s just begun to see herself more as “an advocate for mental health” who is “strongly against the death penalty.” Across Holmie fandom, photos that were once used to stoke wild sexual fantasies are now showcasing solemn slogans like “severely mentally ill people need treatment, not execution.” Holmies have printed Holmes’ face on T-shirts that say “mental health matters” and suggested rebranding plaid as a symbol of mental health advocacy, like how “people wear pink to fight breast cancer.” Some are ready to take it off Tumblr—they want to write to the governor, launch a nonprofit, reach out to Holmes’ mom. In 2012, outsiders peeked into the world of the Holmies and, through their nausea, managed to diagnose them as a herd of sick sad teen girls or maybe even a cell of clever trolls. Vice predicted they’d soon fade into Tumblr’s archives, never to repulse us again. But instead of growing out of their obsession, some of these women (and a few brave men) are growing up inside of it. The modern Holmie seems more interested in Holmes’ mind than his body. This isn’t just a crush anymore: It’s a movement. And it’s helped inspire a whole new genre of online fandom, one that’s gaining steam with every mass murder that makes the news. The Holmies were always more diverse than the media coverage suggested: Unlike old-school fan clubs with applications and membership cards, modern fandoms are loosely defined through tags on Tumblr and Instagram. A girl can tag herself a Holmie one day and then sort herself into a new obsession the next. In the beginning, fangirls, true crime nerds, conspiracy theorists, armchair psychologists, and offensive Photoshoppers were all drawn to Holmes’ tags. One reason some dismissed Holmies as trolls is that the casual pranksters and the sincerely committed often spoke the same meme-y language. An imaginative fan can stretch her idol’s image to fit her fantasies: One Direction boys can be gay for each other, and James Holmes’ face can be Photoshopped onto a house husband’s body. But even the most creative fandoms need sufficient raw material to keep the fires burning. Soon after Dzhokhar (also spelled Jahar) Tsarnaev was sentenced to death for the Boston Marathon bombing and disappeared back behind prison doors, his devoted “Jaharians” moved on. One closed her blog with a picture of the Earth from space superimposed over Tsarnaev’s face and the note: “Jahar’s story has come to an end,” as if she’d just watched the mediocre finale of a once-beloved TV show. As for the Holmies, after they worked all the way through the digital trail Holmes left prior to his arrest, fresh insights into Holmes came mostly in the form of occasional news reports on Holmes’ troubling behavior in jail (licking the walls, smearing feces) and updates in his legal case, which became squarely focused on mental illness after Holmes pleaded not guilty by reason of insanity in May 2013. At trial, doctors who had treated and examined Holmes disagreed on whether he could discern the difference between right and wrong at the time of the attack, but all believed that he was severely mentally ill; 20 doctors agreed on a diagnosis of schizophrenia. The Holmies who stuck around were the ones who managed to locate some personal interest in Holmes’ evolving narrative. It’s an intimate crew: A couple dozen women and a few men who convene on Tumblr (which skews younger), and Facebook (where there’s a more maternal vibe). Some modern Holmies relate to Holmes’ struggles with mental health, blogging about their own experiences with bipolar disorder or dealing with side effects from Zoloft. Others had been invested in mental health advocacy for years before they found the Holmies. In some cases, though, the mental health stuff is a strategy to deepen the fantasy relationship with Holmes. It’s less about criminal justice reform than a pledge of commitment in sickness and in health, or else a daydream about nursing him back to adorkable. Posts read like social justice fan fiction: It’s styled like a movement, but it’s really all about you. Holmies weren’t the first to explore their morbid passion for famous murderers online. In 1996, “Unabuffs” confusingly took to the Internet to express their identification with Luddite bomber Ted Kaczynski. Kip Kinkel, an Oregon high school student who murdered his parents before shooting up his school in 1998, amassed an early following on LiveJournal. “Columbiners” started Tumbling snippets from the shooters’ diaries and pics of the their ’90s haircuts years ago. And pre-Internet serial killer fandoms—of which there were many—have been revived on Tumblr, where Ted Bundy’s cardigans and Richard Ramirez’s cheekbones reach a new audience. But Holmies were the first significant fan group to live-blog their passion while the crime scene was still active. Other high-profile tragedies had time to acquire some cultural significance before fans decided they empathized with the killers in some way. Columbiners, who converged into a sizable fandom more than a decade after the event, are responding more to the mythology than to the killing itself: The widespread media panic stigmatized every teenager who wore black or listened to Marilyn Manson, so modern outcasts are now finding points of identification with Eric Harris and Dylan Klebold. When the Holmies debuted, the genre exploded. Finding the next hot murderer before he got played out became almost like a competition. Jake Evans, a teenager who killed his mother and sister in October 2012, was the first to turn heads post-Aurora. In March 2013, Ohio school shooter T.J. Lane wore a shirt marked “KILLER” to his sentencing hearing and told the families of his victims that he masturbates to the memory of killing them; “Laneiacs” ate it up. The next month, Jaharians emerged from the horror of the Boston bombing. Even Sandy Hook shooter Adam Lanza has a modest following of “Lanzies” or “Fanzas,” though they view him more as a cute little brother than a romantic interest. Any white boy with a haircut is eligible: One Holmie suggests that Jared Loughner could have amassed online groupies of his own had he just locked down his “moisturizer and hair” game before posing for police cameras after his 2011 attack on Tucson. *Correction, July 23, 2015: This article originally misidentified the film The Dark Knight Rises as The Dark Night Rises.